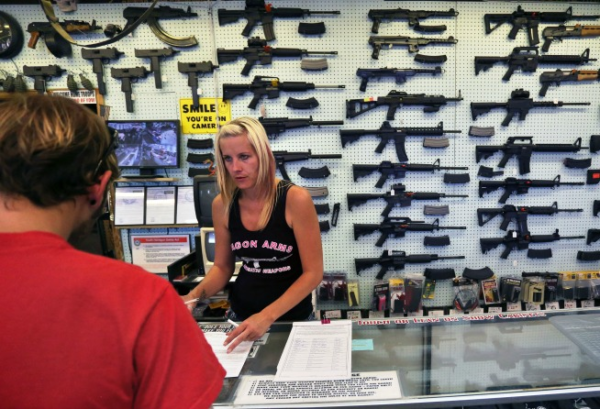 Colorado is a relatively lax state when it comes to gun laws, but there are still a few things to watch out for when trying to be a responsible gun owner. We’ll go over all you need to know about buying and using firearms in the state of Colorado. 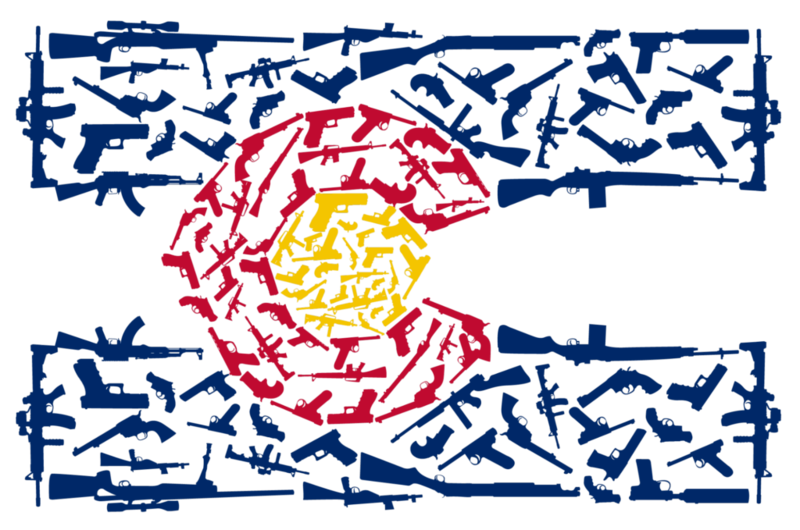 Colorado state flag made out of guns! No permit is required to buy a handgun. However, there are a few rules to keep in mind. Have a background check conducted by a licensed firearms dealer. Unlike other free states, a background check must be conducted by a licensed firearms dealer even if you buy the handgun through a private sale, or are transferring it to a relative. Adjudicated delinquent for a felony to possess a firearm. If none of those conditions apply to you, you can safely go to your favorite local gun store and pick up that shiny new 1911! Even though the state of Colorado only requires you to be 18 or older to buy handgun, the federal government requires you to be 21 or older to be able to do so. Basically, if you are between the ages of 18 and 21, you can only buy a handgun through a private sale, instead of from a licensed firearms dealer. You will still have to go to the firearms dealer for the background check, but the purchase is from a private individual. 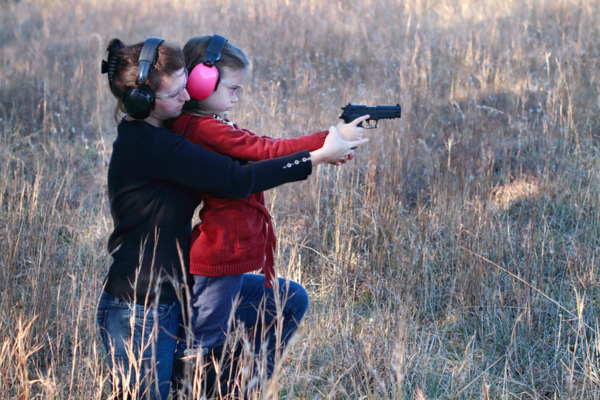 At home, with permission from the parent or guardian to own a handgun for self-defense. Never too early for shooting lessons. Fortunately, buying long guns is no different than buying a handgun. But Be Careful of Magazine Restrictions! Unfortunately, Colorado decided to balance out the relative ease of buying guns with a restriction on magazine capacity. Mags in Colorado can only contain 15 rounds. What this means is any gun you buy can only use a 15 round mag, even if that is not the standard magazine size for the gun. That brand new Glock 17 you bought can’t use the 17 round mags like it was meant to have, but can only use a 15 round mag instead. Even if you purchase a gun out of state or online, the gun has to be compliant with Colorado laws, so any mags over the 15 round restriction cannot be purchased, even if they come with the gun. 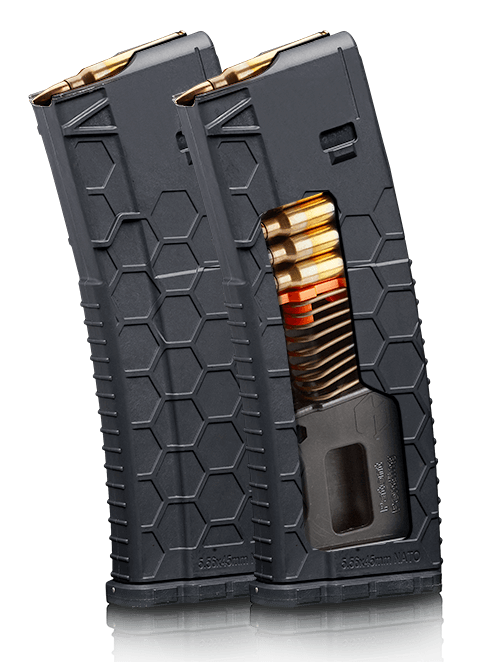 AR Mags Limited to 15 Round Capacity. Shotguns have their own special mag restrictions that you’ll need to be careful of. Any shotgun mag that is detachable can only hold 8 rounds or less. Tubular shotgun mags are only allowed to hold up to 28 inches of ammo. Any magazines purchased before July 1, 2013, does not fall under the 15-round restriction. All those 30 (and 60!) round AR mags you bought back in 2010 are perfectly safe. Good thing you bought so many mags back then. Even if you didn’t buy your mags before July 1, 2013, .22 caliber rimfire ammo or any lever action rifle with a fixed tubular magazine also do not have to follow the 15-round mag restriction. Handguns can be carried openly without a permit, as long as you are somewhere it is legal for you to carry the gun. Don’t go walking into a courthouse and expect the police to overlook that hand cannon strapped to your hip. 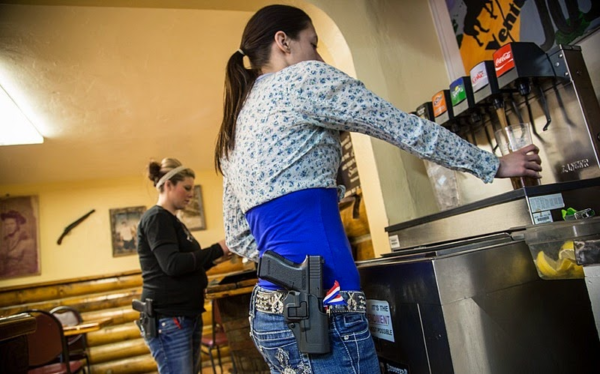 Open carry at Shooter’s Grill in Colorado. A permit is required to carry a handgun in a concealed manner. However, a permit is not required to carry concealed in your home, business, or any other property under your control (i.e leased property). To learn about all the steps to getting a concealed carry permit, check out our dedicated Colorado CCW laws section. Luckily, the laws for carrying a long gun are the same as with handguns, so there’s nothing special to keep in mind. Your shiny new AR-15 is not just for shooting steel at the range. It’s also pretty handy at stopping bad guys. Colorado follows the concept of the Castle doctrine for self defense. The occupant reasonably believes the person might use physical force, no matter how slight, against the occupant. Basically, if someone breaks into your home and is about to commit a crime, and you think that person will use some type of physical force against you, Colorado recognizes your right to defend yourself with deadly force. The Castle doctrine lets you defend yourself when you’re at home, but Colorado does not recognize a right to stand your ground when outside your home. If you are out at dinner or at the game with your friends, you have a duty to safely retreat if you are in a dangerous situation. Don’t be a hero, or you may end up in jail for it. With all of that being said, it is still a good idea to decide what type of force is appropriate in defending yourself. Deadly force is not always necessary in every situation. …your gun collection that is. You never know when the zombie apocalypse might happen! And plus, that new CZ looks really nice. And, of course, while you’re building that gun collection, you’ll want a nice safe to keep all your firearms nice and protected. A sturdy safe can keep your guns from prying eyes and curious kids. If you want to start smaller, a gun cabinet, or even just a decent handgun safe may be a good investment.